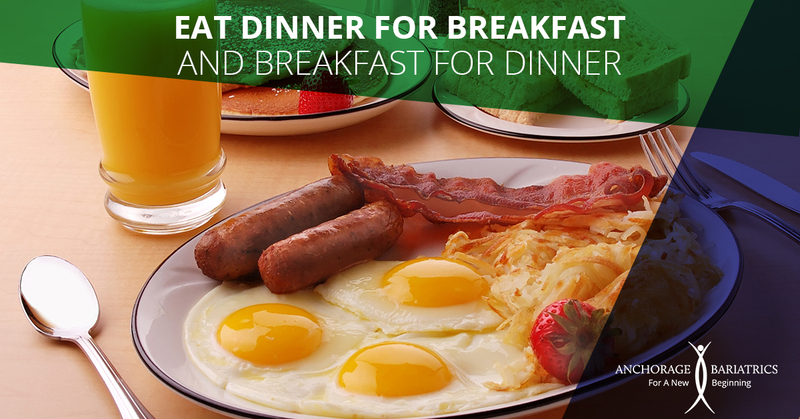 Eat Dinner For Breakfast And Breakfast For Dinner! Breakfast! You may have heard that “breakfast is the most important meal of the day,” well, its true! People who eat a big, hearty breakfast tend to feel less hungry throughout the day, tend to snack less, and make healthier food choices. If you have your bigger meals earlier in the day and smaller ones in the afternoon and evening, your metabolism will adjust and you will lose more weight in the long term. Filling up on a hot meal with 20 or more grams of protein first thing will kick-start your body for the day. Shoot for around 400 calories, with a good mix of healthy fats (avocados, olive oil), protein (eggs, milk) and fiber (oatmeal, whole grains). Who says you have to stick to convention? Eat dinner for breakfast and breakfast for dinner! Having a bowl of cereal at dinner time will satisfy your hunger without overfilling your belly before bedtime. Eating smaller dinner portions and finishing dinner two to three hours before you go to bed can help you lose weight. 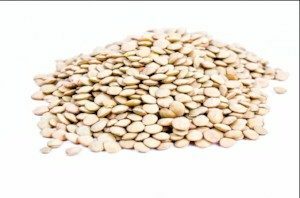 Lentils: Even if you’re not a bean fan, lentils deserve a try. They may be small, but they’re full of iron, fiber, and protein. They’re easy to make (no soaking required). And, for the artistically inclined, they appear in a slew of colors. They are NOT full of sulfur, the gas-producing component in other legumes. You can enjoy them in soups, in veggie burgers, or as salad toppings. Physical therapy can aid in weight loss. When a person is sedentary, they tend to lose flexibility and range of motion, which can lead to painful movement. And, when movement is painful, people tend not to move as much. Since exercise and movement are critical to weight loss, seeing a physical therapist can help you move easier. Your PT can tailor a stretching and mobility plan just for you, which will contribute to the successful implementation of your exercise plan.